The Son of Man has no place to rest his head. 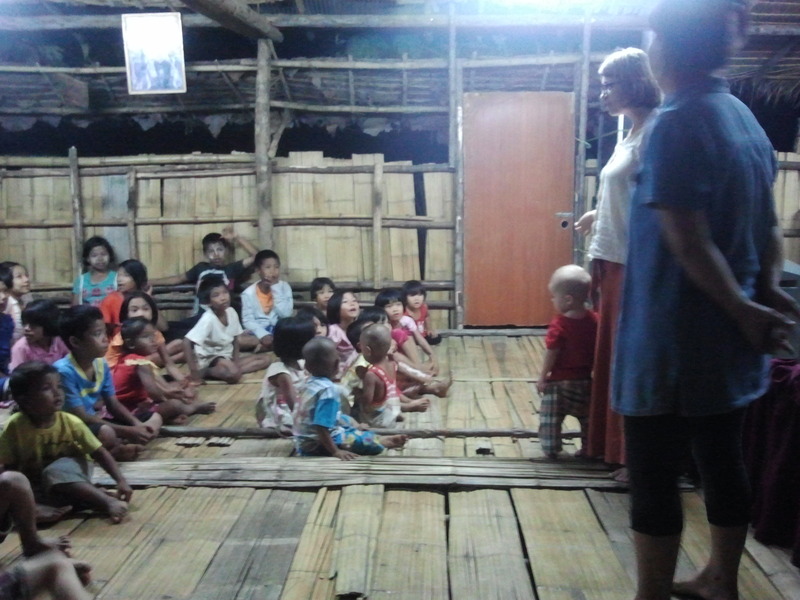 English and Health class taught by The Charis Project in a hill tribe village outside of Mae Sot, Thailand last October. I was asked to speak about the importance of hand hygiene. This last month has been… rough. We’re less than three weeks away from flying to Thailand and our support is less than glamorous. We’re at about half of what we think we’ll need to survive and a quarter of what our initial goal was. To say that this has caused me some stress would be an understatement. My thoughts have often raced around for some kind of fix, as though I have counted the monthly commitments incorrectly or that I might have forgotten about some long lost bank account. I reason that I’ll be able to make ends meet at least for a couple months. This way of thinking goes on for a while and I come to the end of myself as my stress level continues to climb. But every time, something quiet and still grips me and turns my gaze to the past. I continue to remember a conversation that I had with Shannon when we were still trying to figure out how we would fund this venture. She asked whether we would wait to leave until we were fully funded. I answered almost without thinking, “No.” This is because it was becoming very apparent to us that God was telling us that He wanted to finance this move. He had been challenging our beliefs that we would just be another burden to people if we asked for them to partner with us financially. It really struck a cord. Not being a burden was something that Shannon and I constantly strove to excel in. This part of our identities was being stripped away. And it has been very frightening to say the least. I feel like the Good Life is a gift that God wants us all to have. But He can’t just give it to us. We have to receive it, and sometimes, that means going to some very uncomfortable places or situations. Sometimes it means letting go of the mudpies we’ve been settling for so that we can have a “holiday at the sea” (again, C.S.Lewis). For me, this means leaving a comfortable life, trusting that He knows what He’s doing and expecting Him to come through so that I can work with an amazing group of people in pursuit of empowering families so that things like spousal abuse, alcoholism and trafficking can become a thing of the past. I know this may sound crazy, but this is where He says I’ll find life, and I’ll give everything to receive it. For any readers who would like to partner with our family in the work we’ll be doing in Mae Sot, Thailand with The Charis Project, go to our support page to become a onetime or monthly partner.